H. Jean Marie de Montague Rhododendron-Hybrid Rhododendrons- Rainer Rhododendrons Nursery, Washington. 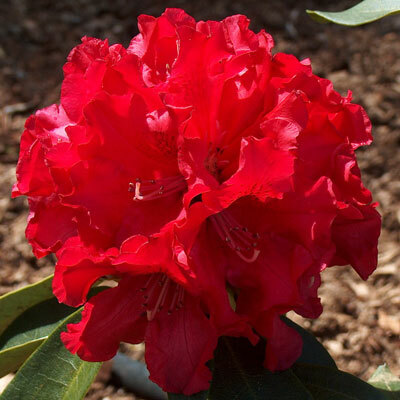 H. Jean Marie de Montague Rhododendron is a most popular red bloomer for the Pacific Northwest. Abundant ball-shaped trusses of stunning red flowers. Rounded growth habit.